A man who was wounded in last Saturday's massacre in Tucson, Arizona, was taken to a county mental services unit Saturday after making a threatening comment at a town hall event in Tucson, Pima County Sheriff's Department spokesman Jason Ogan said. Filed under: Arizona • Crime • Health • U.S.
A funeral service will be held for Dorwan Stoddard at 2 p.m. (4 p.m. ET) Sunday at Calvary Chapel East in Tucson, Arizona. When a gunman opened fire at U.S. Rep. Gabrielle Giffords' meet-and-greet January 8 outside a Tucson supermarket, witnesses said Stoddard, a retired construction worker, was trying to shield his wife, Mavy, when he was shot in the head and fell onto her. Mavy was shot three times in her legs but is expected to recover. Stoddard's daughter Penny Wilson, who wasn't at the event, told reporters last week that her mother has confirmed the account. "He heard the shots and covered my mom with his own body and protected her and saved her. Mom definitely felt that way," Wilson said. Another daughter, Angela Robinson, said that Mavy didn't know she was shot until she arrived at the hospital with her husband. She is still recovering in the hospital. 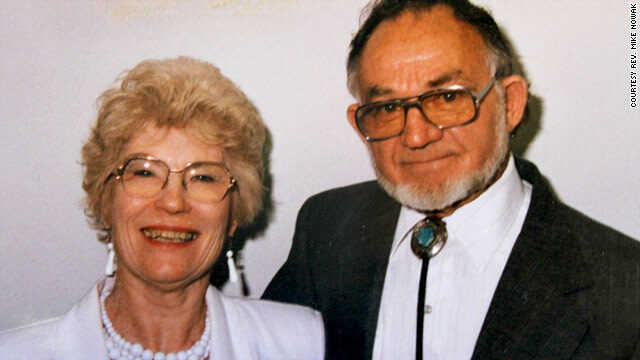 The couple, who were childhood sweethearts, attended Mountain Avenue Church of Christ in Tucson. Dorwan helped those in need and was a handyman for the church, the pastor told CNN affiliate KGUN. "Didn't write any books. There are no streets named after them. There is no monument to them, but their impact in the community of Tucson will last a lifetime," the Rev. Michael Nowak said about the Stoddards. "They were inseparable. You saw one and you knew the other one wasn't far behind. That will be a whole other life for her, so I'm afraid it will hit her harder down the road," Nowak told KGUN. 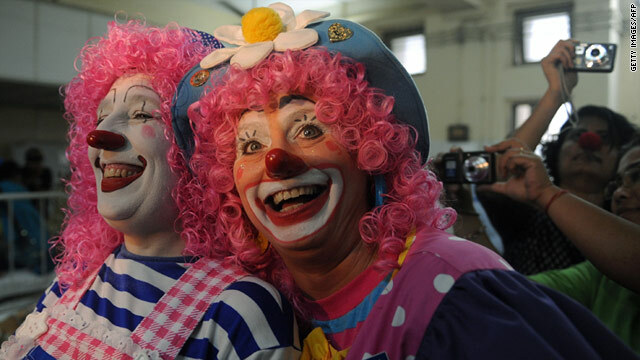 Being entertained by a clown right after in vitro fertilization could be baby-making gold, according to a study in the medical journal Fertility and Sterility. The one-year-long study, by doctors at the Assaf Harofeh Medical Center in Zrifin, Israel, involved 219 women. Half of them were treated to a “medical clowning encounter” after having just undergone IVF. Results showed that 36 percent of women who were treated to a 20-minute routine of jokes, magic tricks and other comedic acts after invitro became pregnant. In contrast, only 20 percent of the women in the group that wasn’t exposed to the routine got pregnant, according to the study. 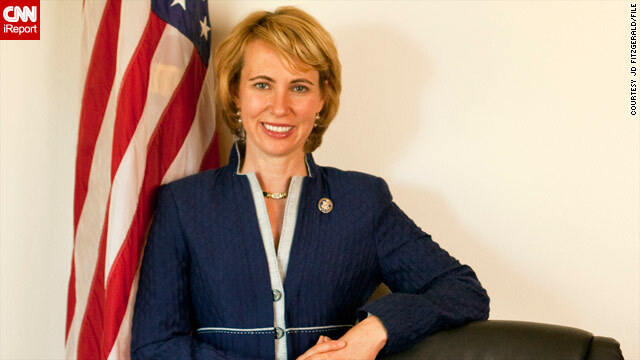 U.S. Rep. Gabrielle Giffords has been taken off a ventilator and is breathing on her own through a tracheotomy tube, the University Medical Center of Tucson, Arizona announced Saturday. Surgeons on Saturday also inserted a feeding tube so the congresswoman could get nutrients. 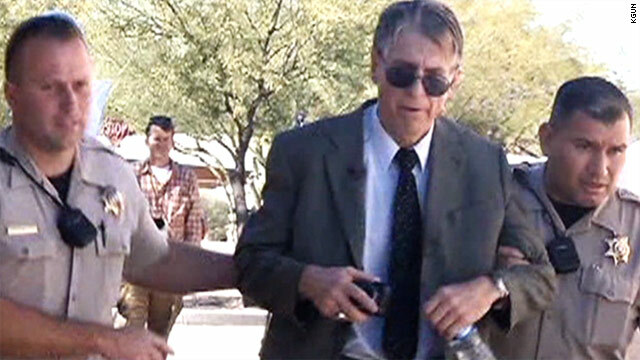 In addition, one other person injured last Saturday's Arizona shooting - James Tucker, 58 - was released from the medical center on Saturday, leaving three people still at the hospital. Filed under: Arizona • Crime • Politics • U.S.
Three U.S. troops were killed Saturday in Iraq, including two who were slain by at least one Iraqi soldier in the northern city of Mosul. The U.S. military said an Iraqi soldier shot and killed two service members and wounded another at the Ghazlani Training Center during a training event conducted by American forces. The Iraqi soldier was killed during the attack, the military said. Earlier, an Iraq Interior Ministry official offered different details about the incident. The official said two Iraqi soldiers carried out the attack on military trainers and then were detained. 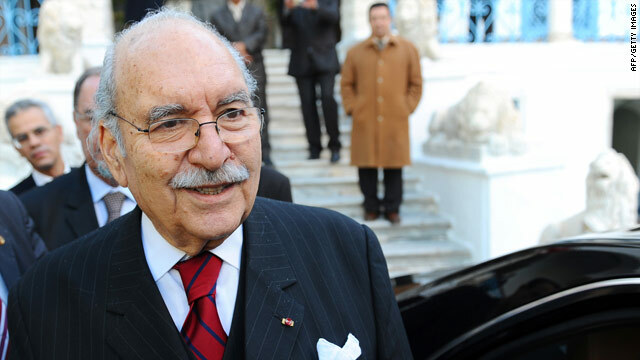 Tunisia's acting president on Saturday called for "a new phase" in his embattled land, envisioning "a better political life which will include democracy, plurality and active participation for all the children of Tunis." Fouad Mebazaa was sworn in as the country's acting leader Saturday after Tunisia's longtime authoritarian president and his family took refuge in Saudi Arabia, a flight sparked by days of angry street protests against the government. 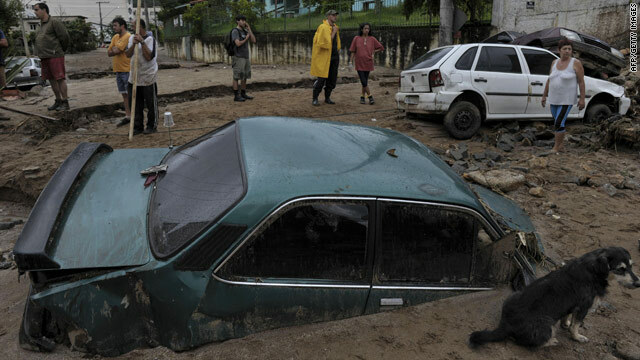 The death toll from flooding caused by torrential rains in Brazil's Rio de Janeiro state rose to 549 people Saturday, Brazil's official news agency reported. Most of the deaths were reported in the cities of Nova Friburgo and Teresopolis, located in a mountainous region northeast of Rio, according to Agencia Brasil. Rescuers have not been able to reach some hard-hit areas and many more people are feared dead, the agency said Friday. The rain is predicted to continue for several days in areas already submerged in water or slathered with mud. 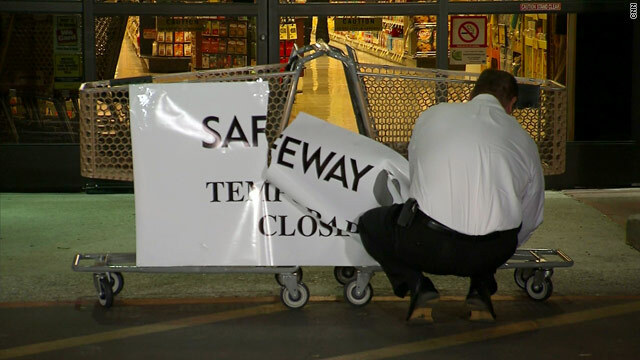 A Safeway employee takes down the "closed" sign moments before the store reopened Saturday morning. The Safeway store in Tucson where six people were killed last week reopened at 7 a.m. Saturday. The store has been repaired, Safeway spokeswoman Susan Houghton said. She added that a wreath will be placed on the property in honor of the victims slain in the attack. Additionally, Safeway has donated $100,000 to assist victims of the shooting. 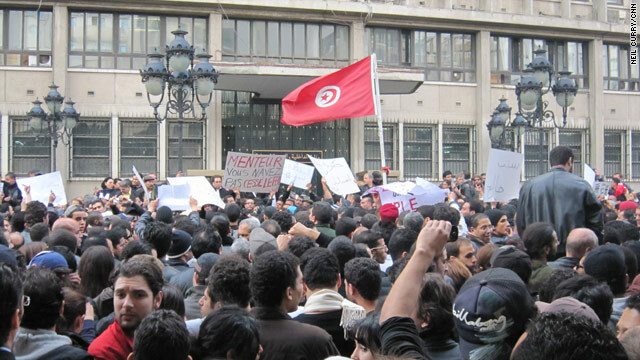 Demonstrators fill the street outside a government building Friday in Tunis, Tunisia. At least 42 detainees died in a fire at the Monastir prison in Tunisia on Saturday, a hospital official told CNN. The country is undergoing a popular uprising that led President Zine El Abidine Ben Ali to give up his powers and flee the country.